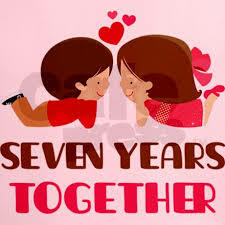 Today Anusha & I are celebrating our 7th wedding anniversary. While chatting this morning, we pondered over crucial events and decisions that shaped and molded our relationship. Undoubtedly eschewing Television in the year 2008 has been the turning point in our life. While setting up our new apartment after marriage, we bought everything except the entertainment box. It wasn’t a difficult decision for me as I wasn’t a TV buff anyway. However this was a significant diversion from Anusha’s interests & lifestyle. It was so nice of her to agree with my proposal for 3 months and then buy a TV if needed. I also committed to reach home by 6PM every evening and plan a family activity once I reached home. Fortunately we didn’t budge and buy a TV. We listed our values and interests and started indulging in activities that brought joy to both OR one of us. The activities included watching inspiring movies, reading self-help books & magazines, yoga, going for long walks in Lalbagh, trying various cuisines etc. The more we stayed away from constant exposure to media, the better we became as individuals. We started discovering our dreams, needs & values and more importantly we began expressing them to each other. Now that our son Samyak is 3.5 years young, we continue to enjoy our life without a TV at home. Samyak enjoys watching animated movies and some selected videos on Youtube on my laptop. A common question we face from friends & family members is ‘When are you buying a TV?’ Our answer always is ‘We don’t know’. My clients from Coaching & Training assignments think that I am missing a lot in my life by not owning a TV and depriving titillating entertainment to family. Some have said that via their facial expressions and very few have also verbalized these thoughts to me. Opinions are subjective and as a family we really have gained a lot by losing just one trivial thing. By this article, I want to express my gratitude to Anusha for supporting me in this decision and willing to try new experiences in life. Life has become better in all areas in the last 7 years and the future looks even more promising and peaceful! I don’t intend to bash TV watching and unsettle anyone reading this article. I agree that there are some benefits of watching TV for a limited time (underscore the word limited). During a training session last week, my running coach Dr. Gladson narrated a story of his friend (I don’t recollect the name, so let’s call him Mr. in this post). Mr. X works as CEO of an organization and he is in his early 50’s. X travels overseas at least 3 days in a week. X knows few basic things about health, nutrition and fitness. Despite very little knowledge, X is in great shape and his health vitals are perfect! What’s the secret of X’s success? My running coach said, X consistently practiced and followed the principles he knows 🙂 That’s the secret behind his health and fitness. Not a lump of esoteric & theoretical knowledge. It’s the simple art of doing what we already know! In my view, most of us know what to do to go to the next level. 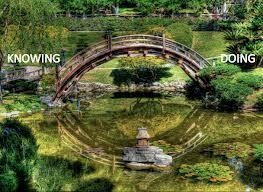 If you we don’t know there are many avenues to discover the stumbling blocks in our life or career. For instance, if you want to improve your leadership skills or performance at work – first get a candid and anonymous 360 feedback to know your reputation. Knowing what to change or improve at work place is never a challenge. It’s the doing part. If you know what to do and you lack motivation, here is what you can do. Take a blank sheet of paper and write 20 advantages of changing your behavior. By the time you write 20 benefits, you will already be convinced to start at least. All you have to do is look at the list everyday when you wake up to keep the momentum. To stick to your plan, you can find a buddy (to remind you), make a daily checklist or any such thing to build a new habit in you. Once the new behavior becomes a habit, you no longer have to motivate yourself on a daily basis. It’s now on autopilot mode. Find the behavior to change – What to Change? List the benefits to – Why Change?